If when listening to Majid Jordan you get a hint of Drake, there's a good reason: The Canadian R&B duo co-wrote and co-produced the fellow Toronto native's 2013 hit "Hold On, We're Going Home". Besides the fact that singer Majid Al Maskati and producer Jordan Ullman, who make up the duo, have rubbed shoulders with one of our favorites in the game, they've also got a ton of their own tracks whose beats are insanely addicting. Take "Something About You", "Warm", and "Small Talk" off of their self-titled debut studio album that dropped earlier this year (the record also includes a Drake feature on single "My Love" which you may have heard premiered on Beats 1 radio). At that time, Maskati and Ullman had also announced their first-ever North American tour, and since then, have been hitting up just about everywhere. The beatmakers just stopped by Warsaw in Brooklyn recently, and we're glad we didn't miss it as Majid Jordan is definitely on the rise. With their debut LP and EP both released OVO Sound (Drake's label), signs point in one direction for this duo—up. 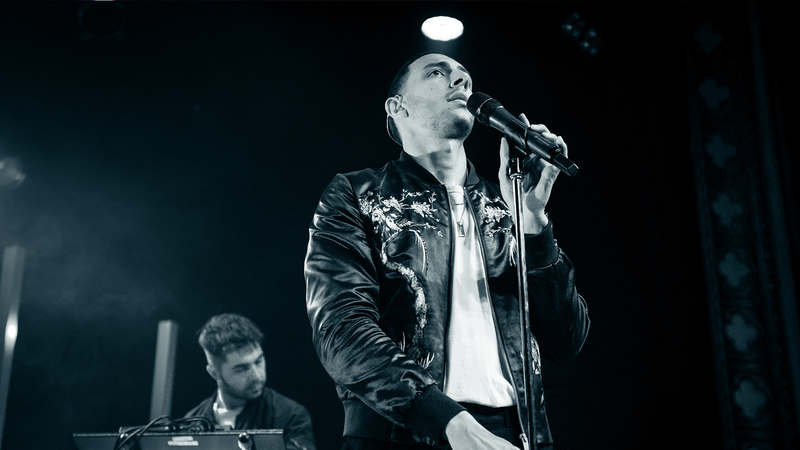 Check out pictures from their Brooklyn concert below, then Track Majid Jordan on Bandsintown to see when they're coming to your town for a live show. Bonus? Don't miss their Red Bull TV All Access tour documentary here.